Lush Light is a 25 minute piece in 4 sections: incubation, birth, journey and return. The piece was originally set on young pre-teen dancers as part of a workshop, so the approach is light and summery. 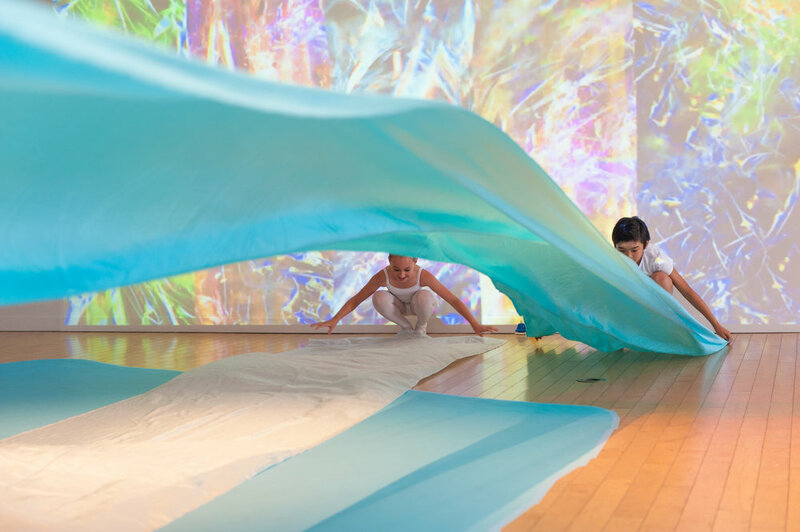 The main set is composed of 20 yards of lightweight aqua-turquoise silk and installed ‘light pools’ made of large swaths of paper on the floor.